Tomorrow night, Welcome to Jerry’s World! It's not long now folks. 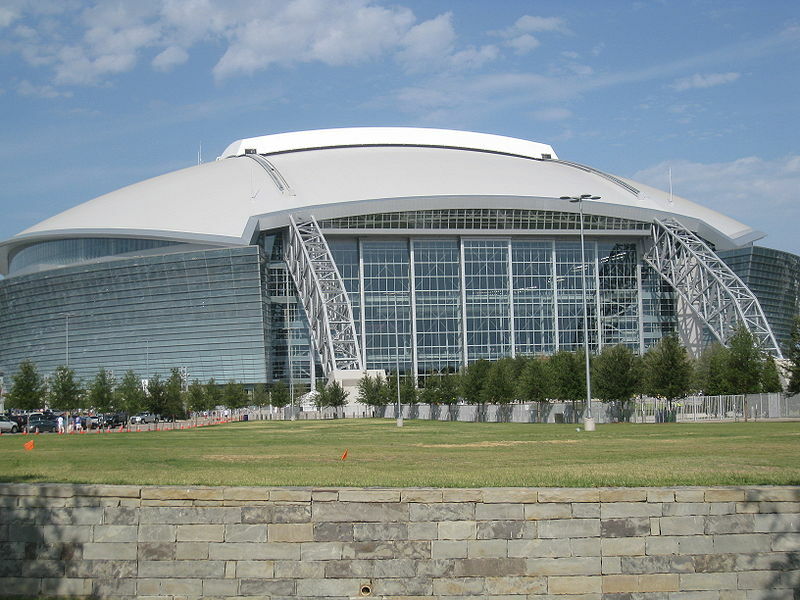 Alabama and Michigan will be playing in a place that many people call 'Jerry's World'. 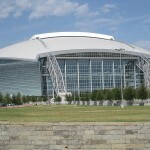 It is Cowboys Stadium, home of the Dallas Cowboys, built by mega-rich Jerry Jones. This fabulous NFL stadium has an amazing $1.5 billion price tag. The stadium was completed in 2009 and looks as cutting edge as the day it opened. It only seats 80,000 people, but that is second highest in the NFL for seating capacity. Take into account that with standing room capacity it can accommodate up to 110,000, its simply amazing. Compared to Bryant Denny Stadium's 100,000 seat capacity, it falls short in only seating capacity, but what it lacks in seating, it makes up with its many miracles of modern engineering. It is the largest column free interior in the world and it has the second largest high definition video screen ever created. Alabama & Michigan fans alike will absolutely enjoy it. Looking at Jerry's World in another light, there's been a little bit of controversy in the location of where the stadium was built. It was built in an area that is primarily residential. Therefore, the infrastructure for transportation needs of public transportation is a bit lacking, but overall, fans should have a great time taking part in the kickoff at Cowboys Stadium. During one NFL football game, punter AJ Trapasso of the Tennessee Titans struck the video screen above the field with a punt. The screen is huge, second only to the huge video board at Charlotte motor Speedway. I don't know if we will see that kind of kick Saturday, but it will be unique to see Alabama's punt (if they ever do! 🙂 to say the least. Even if you're not there and you have to watch it on TV, it should be a blast to see Alabama play in this venue. Tomorrow night... Fans.. "Welcome to Jerry's world!" Michigan fans, as you enter Jerry's World, we also welcome you to "Saban's world!"